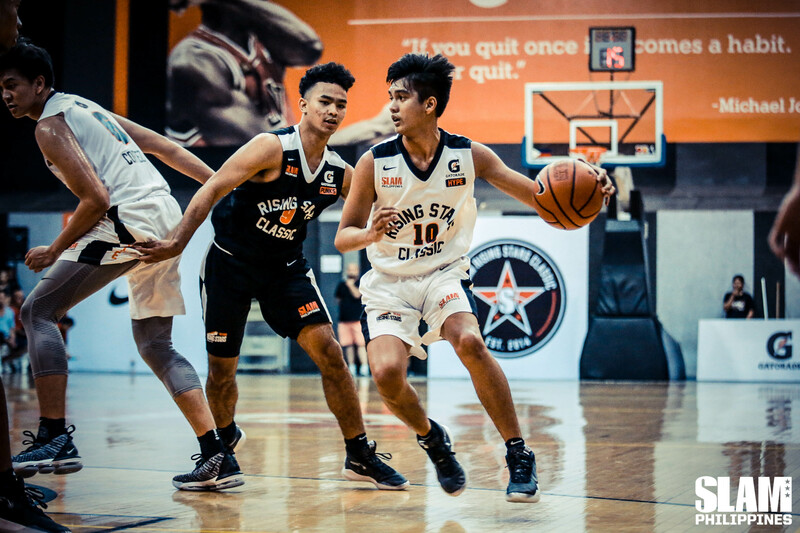 Now on its sixth year, the SLAM Rising Stars Classic has established itself as one of the premier events where the best of the best in high school hoops come together and showcase their skills. Round six of the Rising Stars was a close game as Team Punks edged out Team Hype, 76-74. 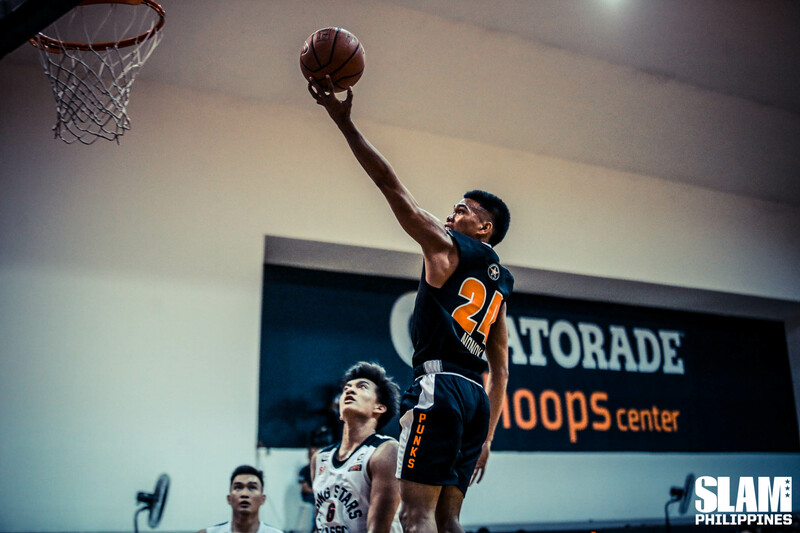 Just a year ago, Raven Cortez had a frame somewhat comparable to Kai Sotto’s: thin, lanky (he’s half a foot shorter than Kai though). He was already skilled back then, as he had shown flashes of brilliance in the 2018 SLAM Rising Stars. However, it also became clear that for the young center to become a dominant force in the paint, bulking up would be the way to go. Fast forward to the 2019 SLAM Rising Stars. Raven showed up with a bigger built that made him look like he can bully his way to the paint, at least in the high school level. It could have been a huge leap for any kid. However, it seemed like Raven fell victim to the change he experienced. He lost some of the mobility he had before, and it became evident when he was late for the rebound, or when he couldn’t get his way inside. As a result, he finished the Classic with only four points and eight rebounds across his name. Respectable numbers, but those could be better given his experience playing in the game. Raven still has a couple of years at the high school level so he can still adjust to his newfound size. Carl Tamayo, Terrence Fortea, Forthsky Padrigao, Mark Nonoy, Joel Cagulangan. These guys were expected take over the game following the absence of Kai Sotto. No one would have thought that Dan Arches would dominate in the first quarter the way he did. 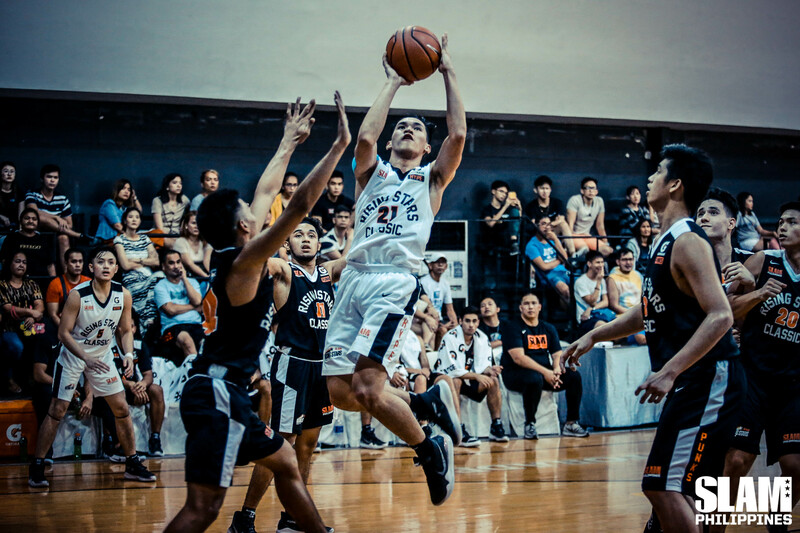 He scored eight points and dished two assists in the latter part of the opening period to lead a 14-2 Team Hype run. For five minutes, he turned Gatorade Hoops Center into his personal playground. 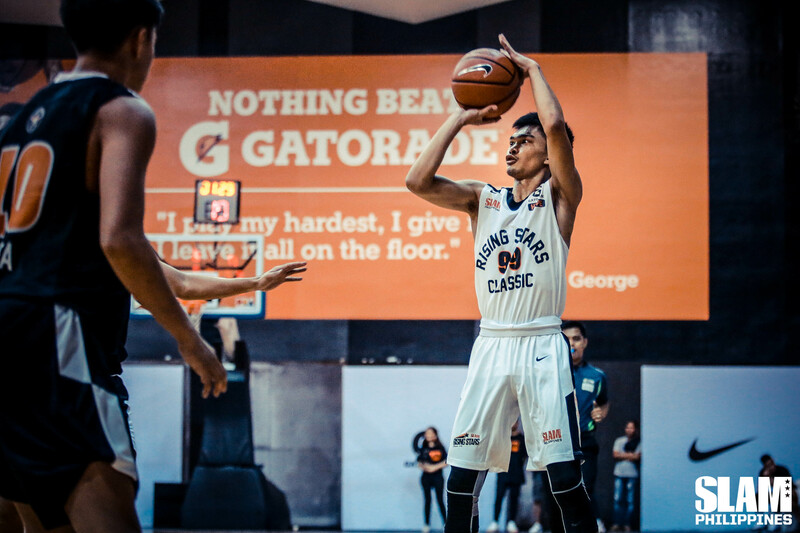 Joem Sabandal showcased his versatility throughout the game. He was supposed to be a scorer for his team because that’s what he’s known for, and he was. He tallied 14 points in 21 minutes for Team Hype. But next to Forthsky Padrigao he became an all-around guard. Whatever his team needed, he provided. He initiated plays, finished fast breaks, played steady defense and, of course, scored big buckets for his team. As a result, he made impact beyond what the score sheet showed. He didn’t rely on spurts like what Joel Cagulangan, Dan Arches and Forthksy did. He found ways to contribute and became a constant performer for Team Hype. Prior to the game, Forthsky Padrigao already had the reputation of being a natural scorer. He wasn’t just molded for it, he was born for scoring. He’s so adept at putting the ball to the basket, anyone could forget that he’s a point guard and still in high school. That’s what he showed in the Rising Stars Classic. Never mind his 1-of-6 clip from deep, his near-flawless execution from the two-point area (6-of-7) made him such a potent threat for Team Hype on offense. Whether off a pass or off the dribble, he found his way to swish the rock into the hoop with relative ease. 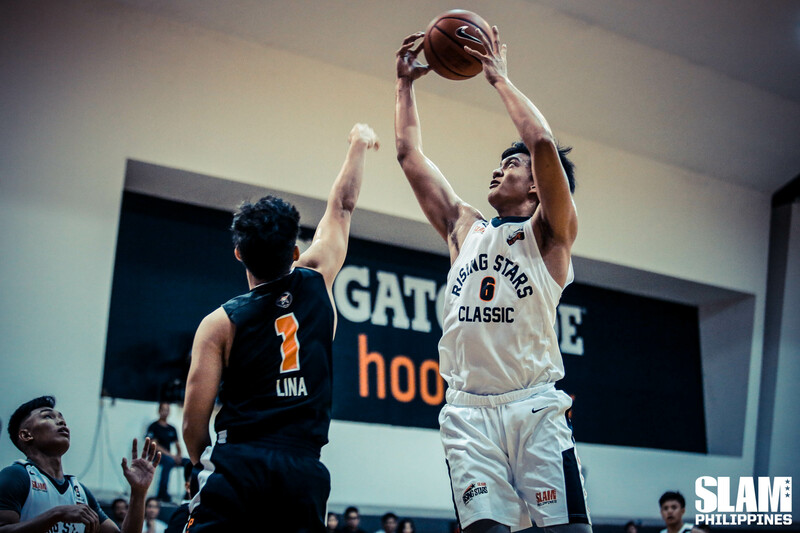 For the record, Geo Chiu was the leading rebounder of this year’s Rising Stars Classic with 14 on the box score. Take away the stat sheet though and it would seem like Inand Fornilos dominated the boards like he was playing pabitin with the rest of the kids, but on a pogo stick. Inand was relentless all night long. As undersized as he was, he lorded over the entire court with pure effort. It may not reflect on his points, but there’s no doubt that he gave the spark for Team Punks to clinch the win. He crashed the boards over guys at least six inches taller than him. He chased loose balls and ran up and down the floor like there was no tomorrow. He provided energy that was so infectious he would put a 30,000 mAh powerbank to shame. This is not the year of the bigs for the Rising Stars. Carl Tamayo shot an awful 1-of-13 from the field. Raven Cortez was a tad slower than his usual self. 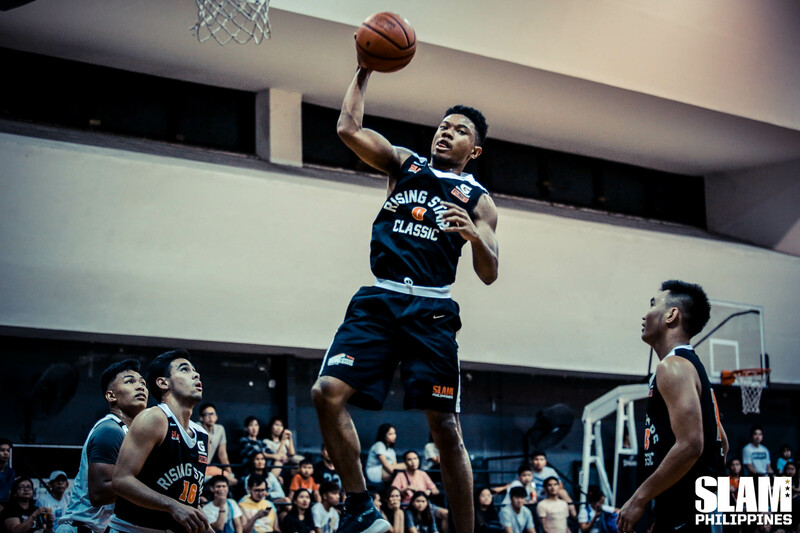 Aaron Fermin, despite being steady on offense, didn’t impose his usual presence inside the paint as he grabbed only four rebounds. Surprisingly, the best performance from a big came from the silent play of Geo Chiu. While it’s true that he was almost non-existent on offense (five points, 2-of-3 FG), he quietly dominated on other facets of the game. Aside from grabbing 14 rebounds, he also blocked three shots, another game-high for him. 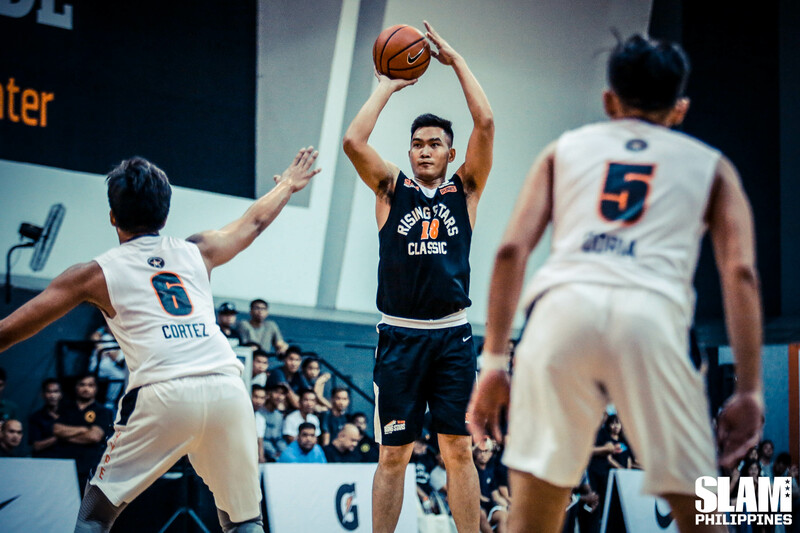 He stood his ground against Carl, who was supposed to be the best big in the Rising Stars Classic in the absence of Kai Sotto. Geo wasn’t ready to give this award back to someone outside of Ateneo just yet. Carl Tamayo was supposed to dominate the paint for Team Punks. Unfortunately, Last Sunday was an off-night for him on offense. Luckily for his team, Aaron Fermin stepped up to fill his shoes. Aaron was the most polished big man on offense for this batch. He operated well on the inside like a traditional center, all while he showcased the added range into his game. He was backing bigs down and flipping shots inside with ease. He looked comfortable launching the outside shot as well. 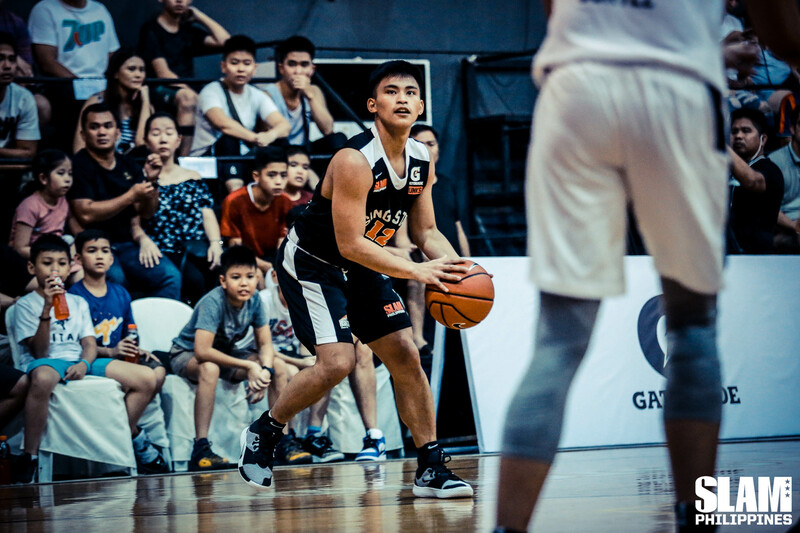 Perhaps, his best offensive stretch came in the second quarter when he unleashed seven points, including a triple, to counter Forthsky Padrigao’s 10-point performance. When fans talk about athletic players, the first thing that comes to mind is the jumping ability. The rebounds. The dunks. The verticality. However, there’s much more to being an athlete than just rising above the hardwood. One aspect that could be looked at is speed. A perfect example is Mark Nonoy. His 5’8 frame would make anyone believe that he’s not fit for competitive basketball. 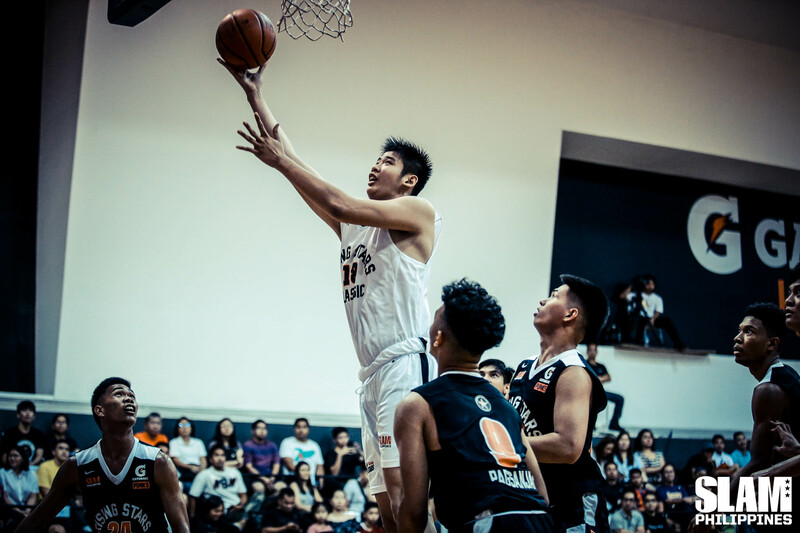 Perhaps, that’ the reason why fans were left in awe when in a snap, he went from zero to 60 as he coasted through the entire court, leaving everyone behind for an easy layup. That’s how freakishly athletic Mark is. Don’t expect him to unleash highlight reel dunks or game-bending blocks. That’s not who he is. Instead, he will kill his opponents with his blinding speed. He runs so loose, yet so controlled that he could make his defenders bite dust at will, just like what he did on that one-man fastbreak. Based on the first three quarters alone, Joel Cagulangan was set to have one of the worst scoring games of his life. Scoreless in the first half. Two points in the third. Maybe he was more interested in facilitating rather than taking matters to his own hands. But that’s the thing with Joel: he knows when and how to take over a game. That’s what he just showed in the game. He unleashed eight points on perfect shooting in the final quarter to give Team Punks the win. That included two triples from deep to seal the deal. It may appear as if Joel only emerged in the fourth, but that can’t be further from the truth. 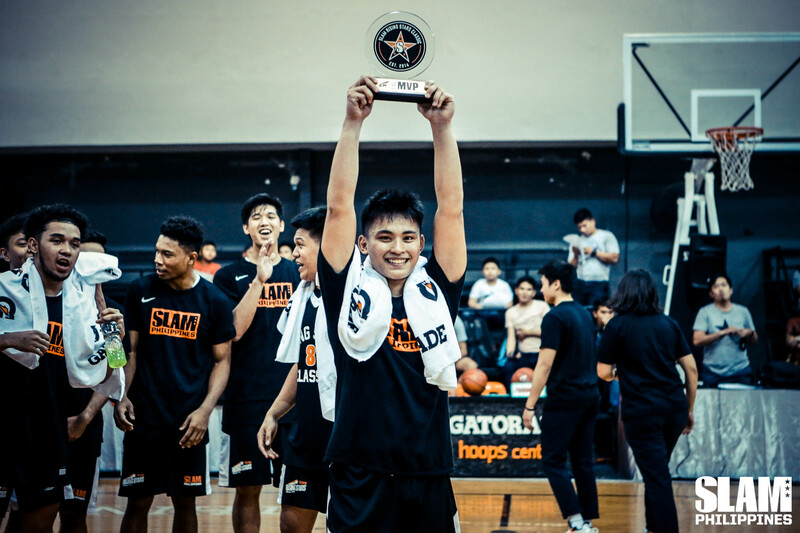 What Joem Sabandal was for Team Hype was Joel was for Team Punks. Prior to his clutch hits, Joel was the main facilitator for Team Punks. He also grabbed his fair share of boards to spark the break. By the end of the third, he already had four assists and three rebounds under his name. He finished the game with 10 points (4/7 FG), five assists and four rebounds. Joel scored or assisted on his team’s last 10 points in the final four minutes of the game. He took over for Team Punks when the game was on the line. That’s as impressive as it can get.